Barboursville Vineyards Merlot 2008 Wow! So, the other night, I was making a steak with my son Dylan, a trained, professional chef (lucky me, I started it, knowing he would never let me finish...LOL). I opened up a lovely piece of dark aged cheese from Holland and munched on that, sipping my wine, and waiting to eat my steak. Barboursville is among my favorite wineries. Luca Pashina is the winemaker, and has been doing an incredible job for years now. And Fernando Franco is the vineyard manager. 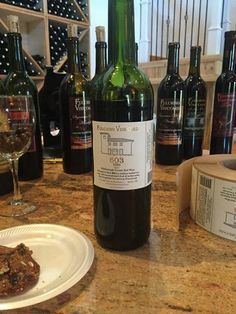 The winery is owned by Zonin of Italy, but there's no question that Barboursville is among the best wineries on the Eastern Seaboard. One never knows what one is going to get when one lets a bottle sit for ten years. Sometimes, even the best wines, die off, or fall apart. I once had a 14 year old crianza that was spectacular. And a 5 year old Beajolais that was terrific. But it's always a crap shoot. More often than not, class shows through. I thought I would be safe on those grounds with Barboursville. So, I opened the bottle an started sipping. It was incredible! 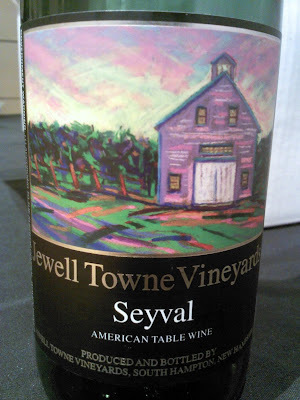 This older wine had lots of dark cherry, as one might expect, given it's age. But it still had a lot of young cherry and raspberry as well. A slight, slight hint of fallen leaves did not over power the vanilla, and hints of lavender, and notes of cassis and jam. Great structure, balance, and tremendous complexity. Absolutely a lovely, lovely wine! A true sign of quality. I thought to myself that I could have let it sit another 3 to 5 years. On the other hand, I chided myself, was that I opened it just in time. for it went beautifully with the cheese and the steak as well. Fantastic wine! Congrats to Luca and Fernando! Cheers! The Best of Times To Drink Local in New Hampshire! 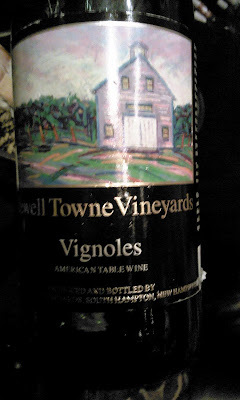 It is New Hampshire wine week, and I thought I would chime in, with a few of my favorites...that I have reviewed in the past. 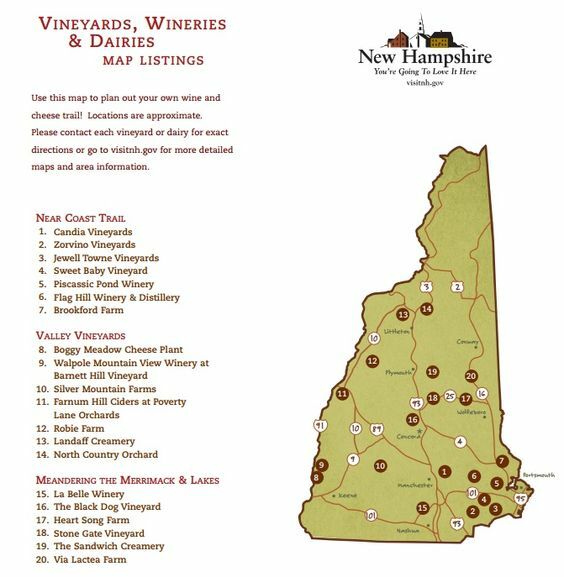 There's a lot of great wines being made in New Hampshire, as well as ciders, and much more. My list isn't as extensive as I'd like it to be. I need to travel the region a little more intensively, than I have recently. So many new businesses and artisans. A very exciting period in the state's history. A great time to be drinking in New Hampshire! p.s. threw in a few distilled products as well! Hermit Woods is my new exciting favorite in New England! 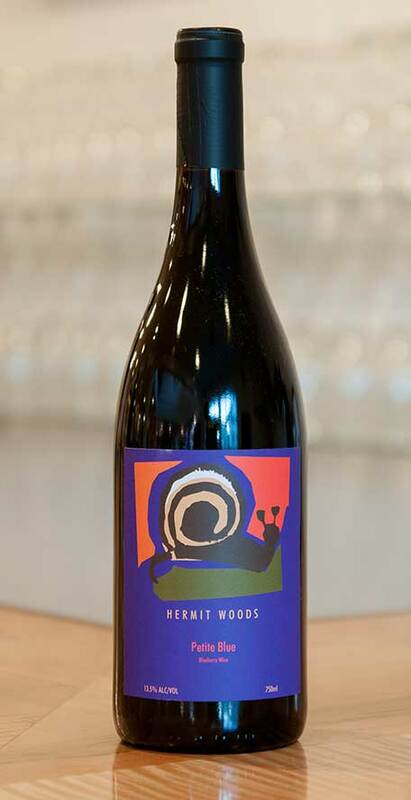 Their Petite Blue is one of the best red wines in New England (and it's made from blueberries!). And their Deep Blue dessert wine is a massive treat. These folks are talented! LaBelle winery is one of the largest and most successful in the region. 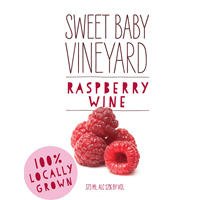 Their Raspberry Dessert wine is among the best raspberry wines I've ever had! Makes for great sipping, and super Kir Royales. In my opinion, Farnum Hill is the First Growth equivalent of cider in the world! It's the absolute best! 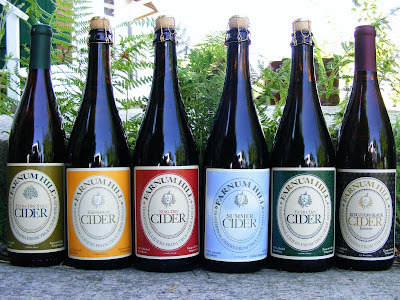 From easy summer sippers, to some of the best ciders ever made, this is artisanal cider at it's best! Peter Oldak is the father of modern winemaking in New Hampshire. He wasn't the first (that I know of) but he made it a burgeoning industry in the state. He organized and promoted. He's the kind of guy every region needs. In the meantime, he makes some great quality wines...for a long time now. I love his Seyval Blanc, his Vignoles, and his Marechal Foch. Flag Hill is among the most ubiquitous labels in New Hampshire, and is seemingly the grandaddy of New Hampshire wine. I love their Cayuga white, a great, bright, easy drinking wine. Their apple cranberry sounds like a cheesey fruit cocktail - but I guarantee you, it's an absolute crowd pleaser - a fantastic surprise. And their Cyder is excellent (I know, it says Vermont - but it's made in NH - don;t be a hater). Fulchino is a wonderful little producer of Italian varietals. But this 603 label, made from local and estate grapes, is a wonderful Italian-styled table wine. 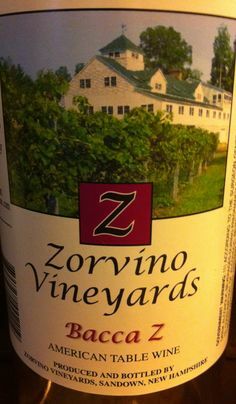 Zorvina Bacca Z is a solid, solid table wine. Enjoy! 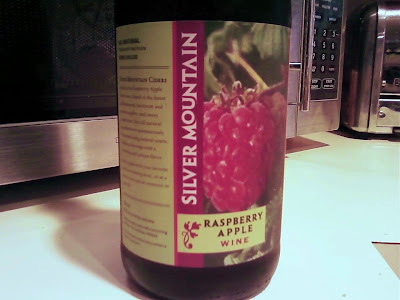 The Silver Mountain Raspberry Apple wine is another big surprise. There's enough tartness to keep is honest and refreshing. 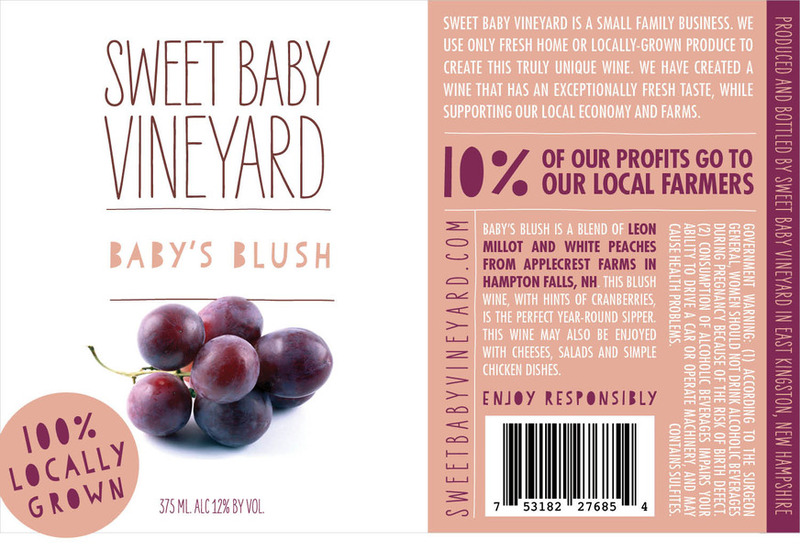 I like everything about Sweet Baby Vineyard except that they are hard to get a hold of. I need to get there! But I love what they are about. 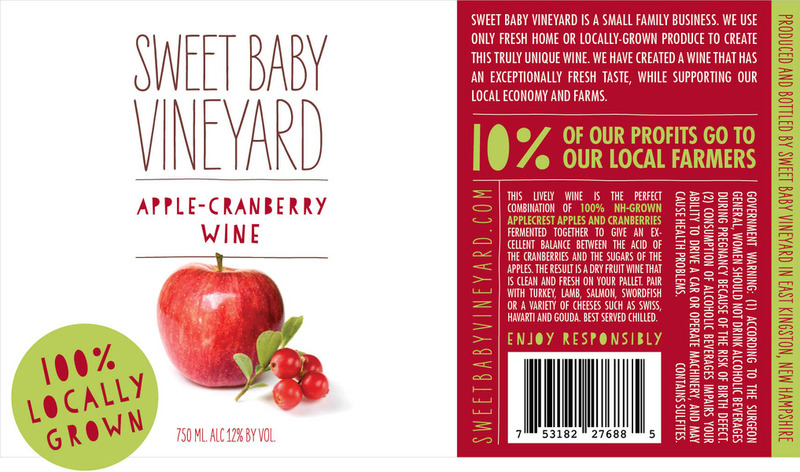 They give back, their local, and they make some terrific fruit wines. Amazing! Clark & Chesterfield is one of the best liquor producers in the north east. Check 'em out. This bourbon, and their single malt whiskey are both exceptional. The Smoky Quartz Single Malt Whiskey and the V5 Bourbon Whiskey are both impressive from this small boutique distillery. Another small distillery that ranks among the bet in the northeast. Flag Hill is also distilling some wonderful things. I made a wonderful cocktail with their spice rum, but their bourbon is extremely tasty and can stand up to ice. A lovely dram. Kingfish Rum Gold is one of the better aged rums in New England. Discover the beauty of local aged rum!